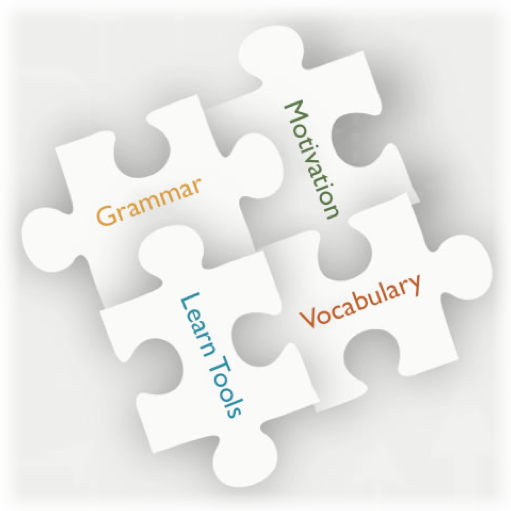 Imagine a language as a living thing, where vocabulary is the body parts, grammar is the brain, language resources and adequate tools are the muscles, and motivation is the energy which makes that living thing work hard or not. To be able to use a language, you need a body, a brain, some muscles, and energy. 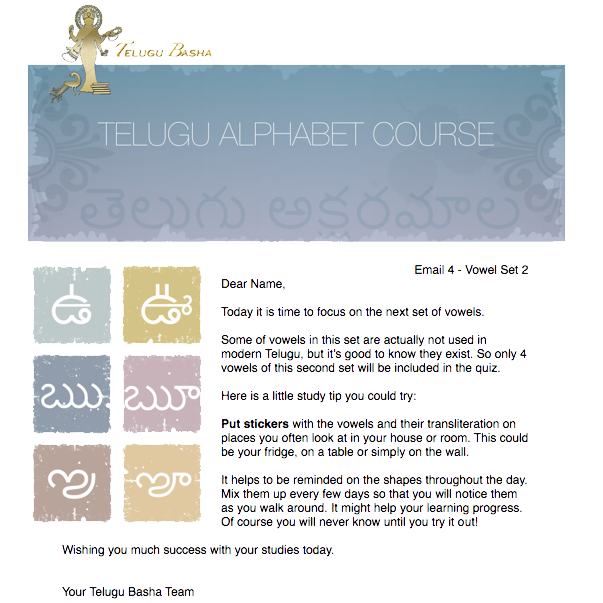 On the journey to learning Telugu, the first step is to learn the alphabet. Payed subscribers will gain access to the full alphabet study section, including a flashcard system, practice sheets and reading practices. Also included will be vocabulary and grammar lessons. Information is a source of learning. But unless it is organized, processed and available to you in a format for decision making, it is more of a burden than a benefit. Just having the learning material in front of you is usually not enough for learning a language. You need to practice your memory skills as well as your reading and writing skills. You also need to be able to demonstrate back, how much of the content you really memorized. We provide you with the tools to practice and test what you have learned, as at each step, we will provide flashcard style quizzes to check what you remembered, plus various practice sheets to practice your writing skills. 90% of learning comes through encouragement. Motivation is the energy that drives your whole learning process. Without it, you will feel like you are swimming against the current, and eventually you will give up. Motivation can help you set goals and achieve them. If you say for example: “I want to learn the Telugu Alphabet in the next 3 months”, it is not an impossible goal, but you do need the proper motivation and passion for learning to reach this goal. We help to inspire you with our email course, that will lead you step by step through your learning process with regular email notifications. You can learn a lot just by asking questions. Don’t feel shy or hold back if some parts of the content is not clear to you. If you formulate your question, other’s might benefit from that as well, as they might have that exact same question. 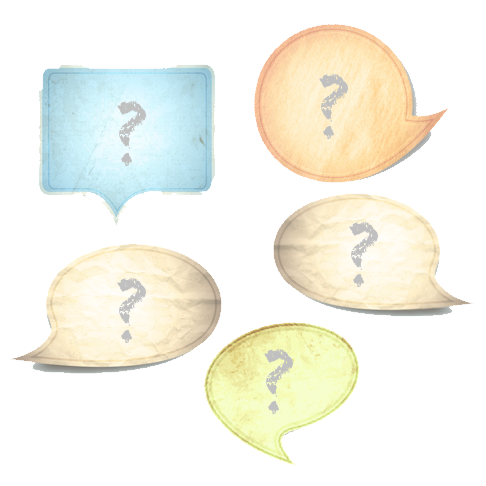 The provided comment fields under each lesson encourage and give you the opportunity to express your comments, feedback or questions.